English author and historian; born in 1783; died in London June 11, 1865. He spent the first half of his life in the island of St. Thomas, where he married and became one of the leading merchants. He was president of the Hebrew congregation and acted also in the honorary capacity of mohel for many years. 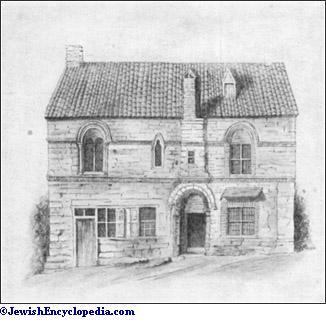 Jew's House, Steep Hill, Lincoln. (From a drawing of the eighteenth century, in the British Museum. 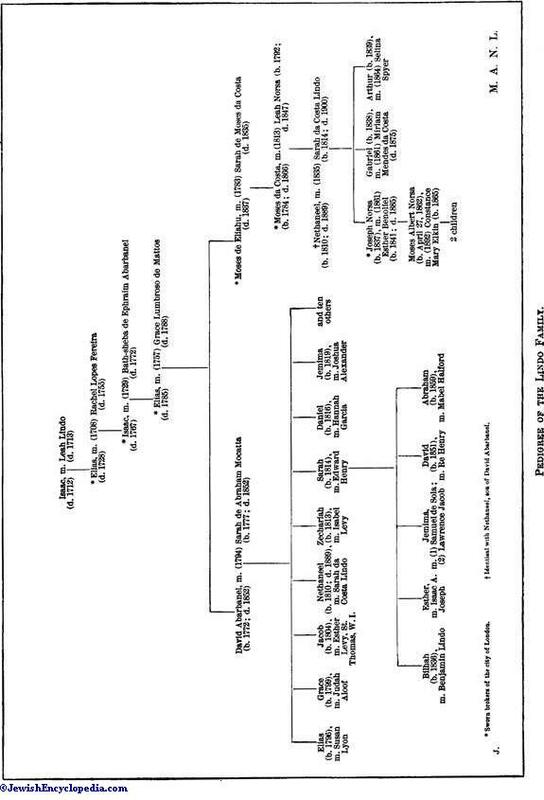 )Pedigree of the Lindo Family. 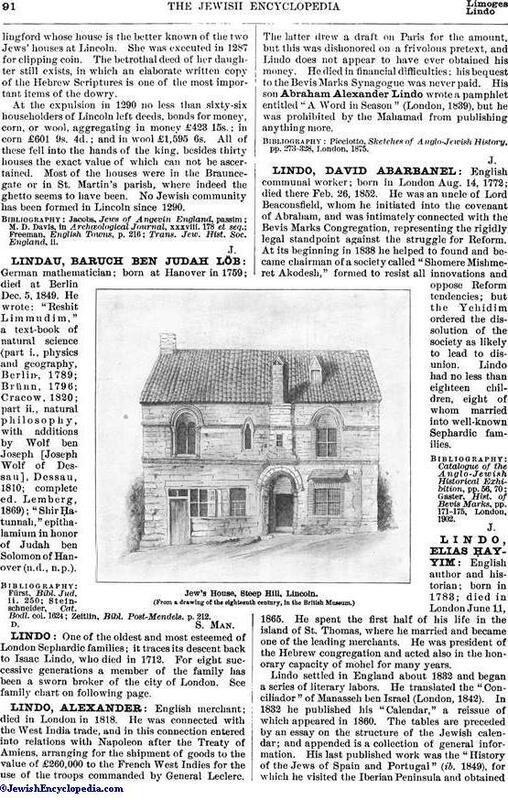 Lindo settled in England about 1832 and began a series of literary labors. He translated the "Conciliador" of Manasseh ben Israel (London, 1842). In 1832 he published his "Calendar," a reissue of which appeared in 1860. The tables are preceded by an essay on the structure of the Jewish calendar; and appended is a collection of general information. 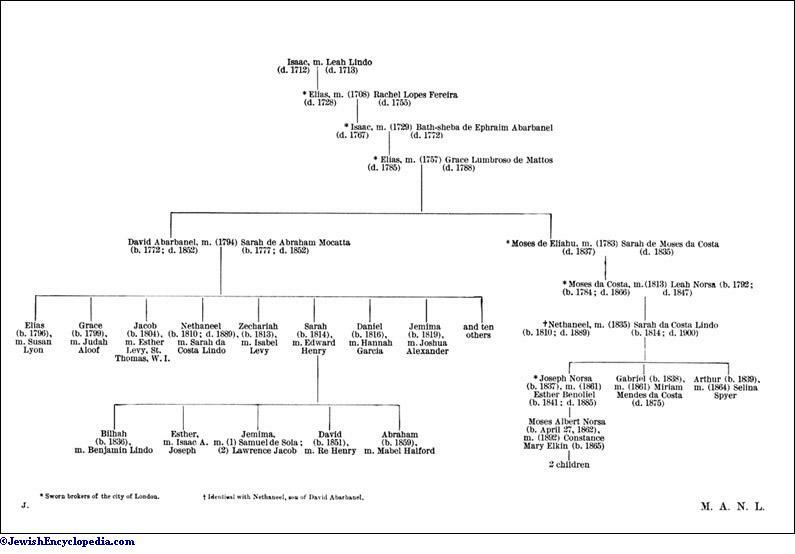 His last published work was the "History of the Jews of Spain and Portugal" (ib. 1849), for which he visited the Iberian Peninsula and obtained much of his information from original sources; it still retains some value. He furthermore made manuscript translations into English of some of the masterpieces of Hebrew literature, including Baḥya's "Ḥobot ha-Lebabot"; Judah ha-Levi's "Cuzari"; Isaac Aboab's "Menorat ha-Ma'or." The manuscripts are now in the possession of Jews' College, London. 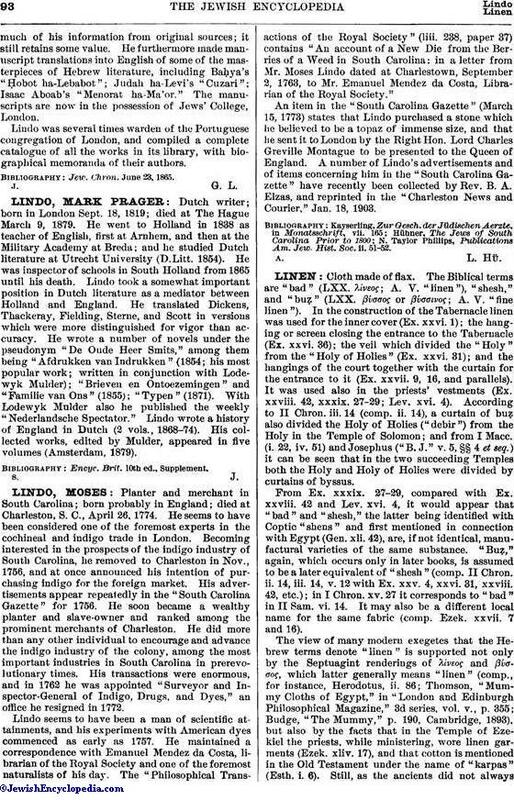 Lindo was several times warden of the Portuguese congregation of London, and compiled a complete catalogue of all the works in its library, with biographical memoranda of their authors. Jew. Chron. June 23, 1865.